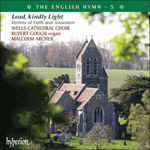 This is the hymn that stood at number one in British Methodist books for nearly two centuries. In its original form (where our first verse was number 7) it was written by Charles Wesley ‘For the Anniversary Day of One’s Conversion’, probably with his own conversion on 21 May 1738 in mind. John Wesley was the first to select verses from the original eighteen for inclusion in his hymn books. As always with Charles Wesley there is a complex weaving of phrases from both Old and New Testaments, with Isaiah 35 linked with Philippians 2: 5–13. Isaac Watts had begun a hymn with ‘Begin, my tongue, some heavenly theme’. Wesley multiplies this a thousand-fold. Wesley’s other hymns on his conversion are questioning and wondering. This is praise throughout, and gathers us all into his celebration as we sing. Few hymn tunes get to be mentioned in great novels. ‘Lydia’ is in two: Thomas Hardy’s The Return of the Native (1878), and George Eliot’s Scenes of Clerical Life (1857–8), where it is mentioned as a tune associated with ‘the Independent Meeting’. The tune was published for the first time anonymously in 1844, and various names have been associated with it. There was a Thomas Phillips who worked as a brush-maker in Bristol and in his obituary notice was said to be well known among ‘the lovers of psalmody’. He could be the composer.